I have decided, since it was such a good practice for me last year, to pick back up the lenten fast that I challenged myself with last year, that of blogging every day for the next forty days. I managed to do it last year with my credo going on, 9 hours of grad school and a church to run; now that I’m on internship it should be even easier, right? RIGHT?? Let’s hope so. Tonight, though, I will begin with my Ash Wednesday sermon that I delivered tonight. It’s a meditation on Isaiah, one I hope will kick this whole thing off right. Enjoy! and you will be healed quickly. and your gloom will be like the noon. Ash Wednesday is a day of Repentance. Often I think we forget what that means. Repentance is the English translation of a Hebrew word, שוב, (pronounced shoov), with a very particular meaning. When we think of repentance we often think of something like…changing your mind. Which is fair, I guess, if you want to strip it of all of its depth. I’ve changed my mind at least 10 times today, or more. You change your mind constantly. It’s a fairly quick kind of an action, without much effort or energy. However, to repent, to shoov, is something a bit more drastic. It literally means to turn around, to go back, to change course completely. It’s like going in one direction, and then making a complete 180 about face. It’s more than just changing your mind; repentance is changing your heart. In reading this passage from Isaiah, we see a very strong and distinct call to repentance. It comes as an answer to a question best laid out in verse 3: “Why do we fast and you don’t see; why afflict ourselves and you don’t notice?” It’s a question that I think we all ask from time to time, something that comes out of our mouths and our hearts at our most impatient moments. We ask it when we feel that we have been doing everything right, when we say the right prayers, go to the right worship services, hang out with the right people, be seen in the right places, and yet, we still don’t feel we are as close to God as we should be. We feel that we are righteous, but still God feels far away. We see an answer in Isaiah to the question, but it may not be the one we think we would get on Ash Wednesday. 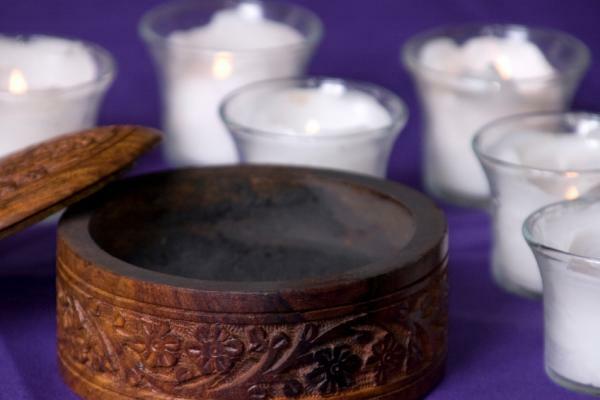 On Ash Wednesday, we make a promise to repent, to fast, and for the next forty days leading up to Easter, try to focus on our relationship with God, and for the most part, we do it in very traditional ways. We mark our heads with ashes. We fast in some way or another, by refraining from food. We go to church more. All of these things are good, in their own way. Ashes remind us of our mortality, that all in this life is temporary; the grass withers, the flower fades, but God remains forever. Fasting is a way to turn our attention towards God, and to God’s presence in our lives. All of these things are good in and of themselves. But Isaiah is concerned not so much with the substance of these actions, but rather with the intent behind them. Doing good works, fasting and showing outward signs of devotion to God, are only good if you do them with a changed heart. Repentance is more than just good works. It’s not just changing your mind, or doing something because you feel like you have to; it’s changing your heart because you want to. Repentance is something that is completely voluntary. You have to want to repent. But if you do, that means you need to completely change course, and put God at the focus of your life. If, as the prophet says, you do whatever you want on your fast day, and live like your life hasn’t changed at all because of your repentance, then of course you aren’t going to feel like you’re any closer to God. You haven’t made space for God, because your repentance is just a changed mind, when repentance requires a changed heart. So we come to Ash Wednesday, and we have to ask ourselves the hard questions. We are called to repent, but how do we do that? How do we make that 180? How do we truly honor God, and make space for God so that we can appreciate the resurrection? We need to ask ourselves, what is the fast that God requires? Isaiah makes a very clear answer to this: Isn’t this the fast I choose? Releasing wicked restraints, untying the ropes of a yoke, setting free the mistreated, and breaking every yoke?7 Isn’t it sharing your bread with the hungry and bringing the homeless poor into your house, covering the naked when you see them, and not hiding from your own family? For Isaiah, repentance means doing justice, and living like you have actually changed your heart. The fast that God chooses for us, the one God wants for us, is to fast with the desire to put God central to our lives. Fasting gives us a chance to rely on God, God’s grace, God’s strength, and God’s love. When we do that, we see that God loves us—all of us. God loves us, and wants us to love each other. For some, this means doing what Isaiah asks, to do good works of mercy in the world. For others, it might mean spending more time with family, or simply just getting your life in order. When you fast, let God into your life, and when you do that, your heart will change. We want to be holier, not only in our spiritual lives, but our whole lives. The results of this are astounding, if we believe Isaiah. If we do this, if we truly repent and change our hearts, the world will reap the benefits. As a result of walking closer to God, our light will shine in the world, and make it a little less dark, a little more hopeful and a little less broken. Fasting can bring healing, to you, to your family, and to everyone you encounter. You’ll be like a spring of water that never runs dry, so he says. Indeed, repentance can heal relationships too. Seeking God has a way of doing that, of building bridges that might have been burned, of fixing up things that have been broken. The fast God chooses is one that will change your heart. This Ash Wednesday, we remember that we are only given a little time on this planet, and that time is precious. From dust we come, and to dust we shall return. God remains eternal, and God is the one who gives us life. We fast because we are reminded of our need for a new heart, a healed heart, and a life that reflects that healing. The thing about fasting is that it’s not instant. It takes time for your heart to be changed. For forty days, we fast, as our Lord Jesus Christ did in the desert. He fought his demons and temptations, and so must we. In fasting, we bring to the fore our fears, our bad thoughts, and the wounds that plague our lives. In fasting, we are healed. In fasting, we can heal others. In fasting, we find peace, and light, and hope for a brighter day. Healing takes time, and practice, but the rewards are more than we can even imagine. As we go into the imposition of the ashes, remember that while we may have only a little time on this earth, God remains steadfast, and God’s love endures forever. Let us all fast the way that God chooses for us. Amen.